Happy Valentine's Day! 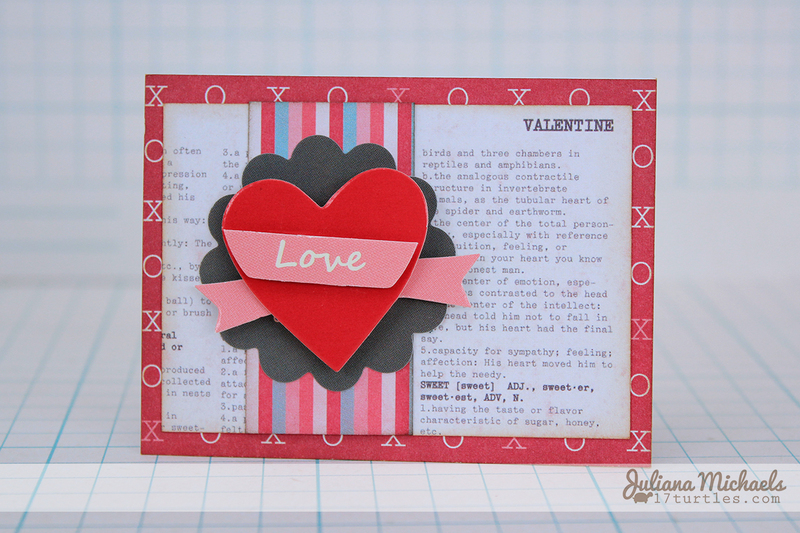 I'm pretty sure that I could never get tired of making Valentine's cards from the Pebbles Inc Yours Truly collection. I seriously LOVE this collection!!! Today, I have two more cards I created using this collection. 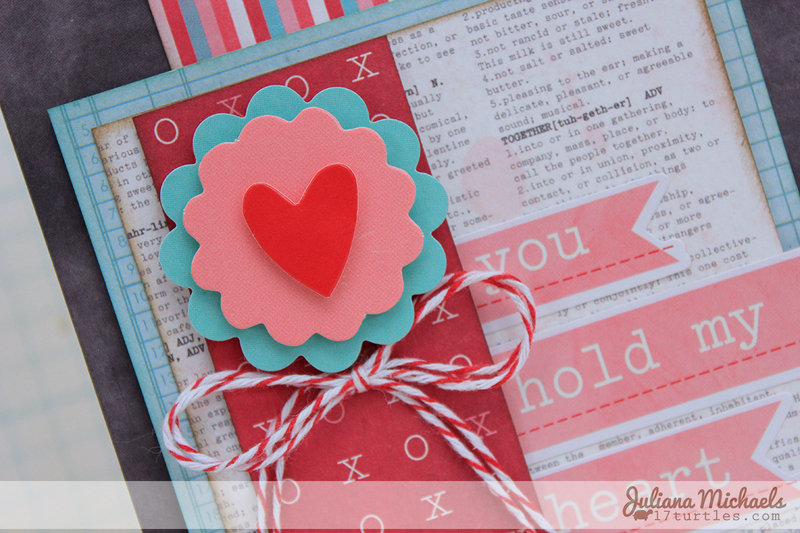 If you remember, I also created a set of Mini Valentine's recently using this collection. 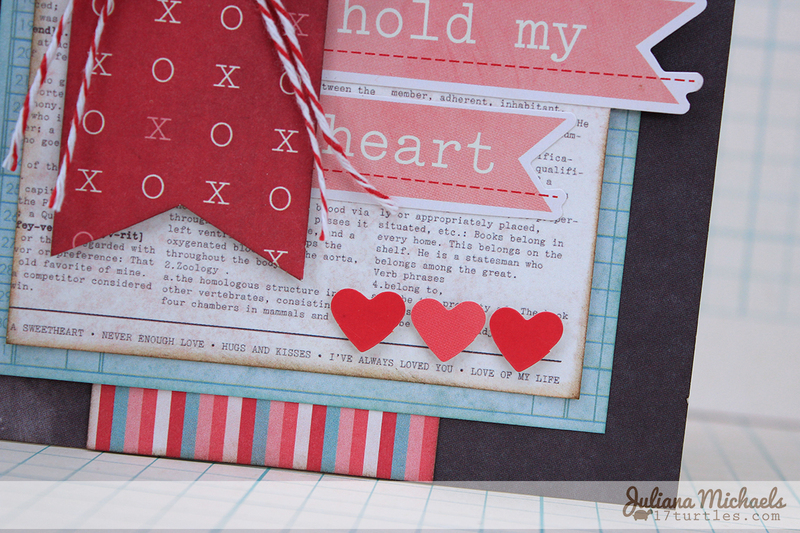 This collection is good for more than just cards though, I also used it to create this Love Birds Frame as well as a couple scrapbook layouts, Love Letters and Made With Love. 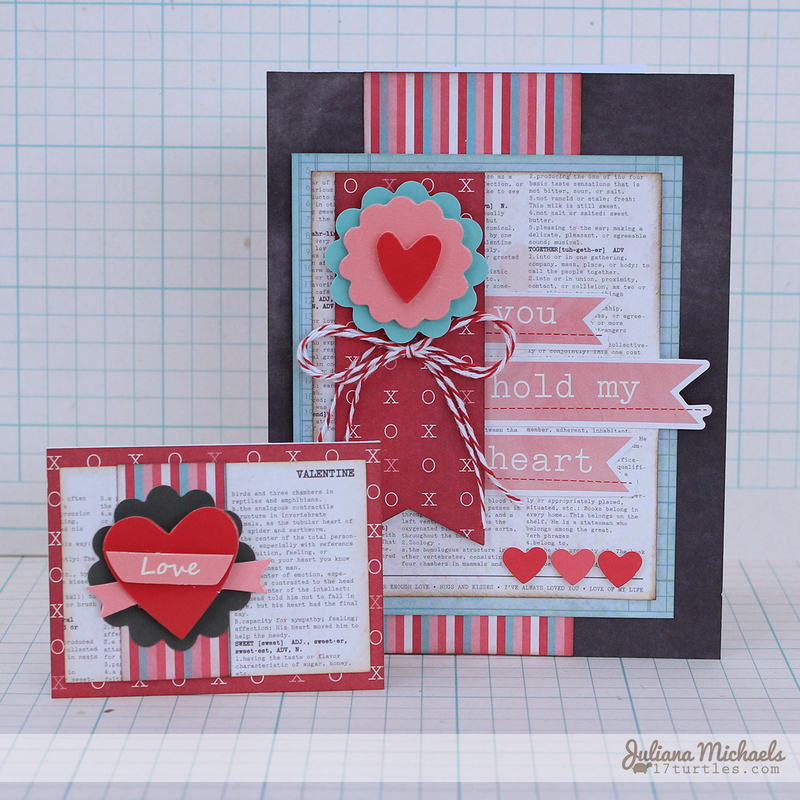 Both of these cards were created using a combination of the 12 x 12 paper and 6 x 6 paper pad and they were both made using scraps from other projects. 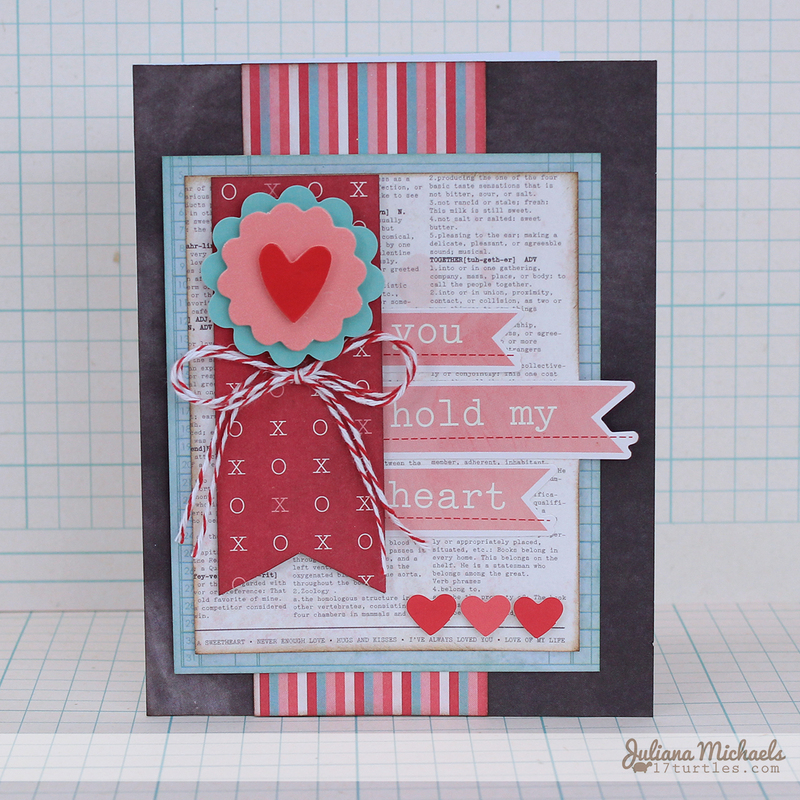 I always find that using the left overs and scraps from other projects to be the easiest way for me to create a card. It keeps me from stressing about cutting into a full sheet of paper that I might want for a scrapbook page. I used the same technique to create the central embellishment on each card. I took one of the Yours Truly Repeat Scallop Stickers and then dressed it up by adhering a Yours Truly Dimensional Sticker to the center of it with a foam dot. This is such a quick and easy way to customize the already fabulous stickers that come with this collection. How super sweet are these cards!!! These are so sweet! Love them!! 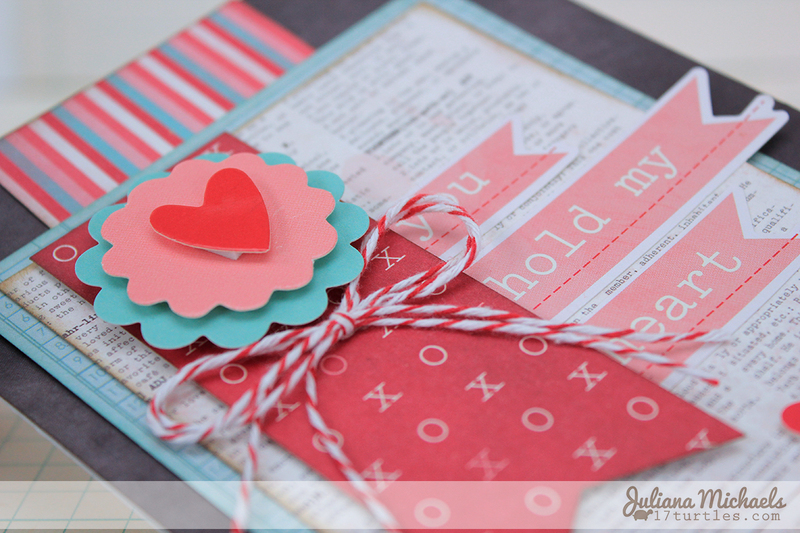 Love these cute cards, Juliana! !